The size of Wentworthville is approximately 3kms in area. It has 9 parks covering nearly 5% of the total area. There are 2 schools located in Wentworthville. 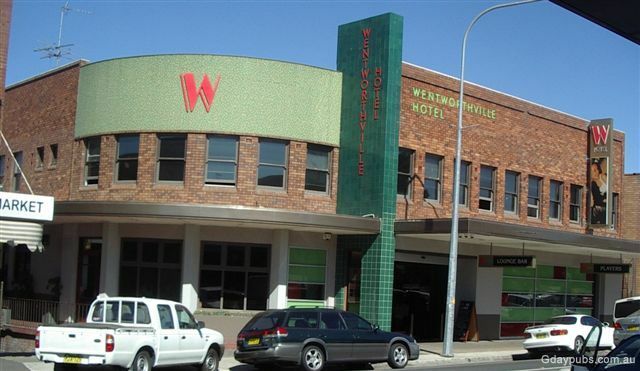 The population of Wentworthville in 2001 was 9,016 people. By 2006 the population was 10,473 showing a population growth of 16% in the area during that period.The predominant age group in Wentworthville is 30-39 years. Households in Wentworthville are primarily couples with children and are likely to be repaying between $1,000 & $1,200 per month on mortgage repayments. In general, people in Wentworthville work in a non-specific occupation. In 2001, 52% of the homes in Wentworthville were owner-occupied compared with 55% in 2006. Disclaimer - This information was provided under licence from RPData. Wentworthville, Wentworth Falls in the Blue Mountains and, Wentworth in far western New South Wales, were named after the Wentworth family. A land grant of 2000 acres (8 km2) in this area was made in 1810 to D'arcy Wentworth, the father of William Wentworth, the famous Australian explorer, barrister, newspaper publisher, politician and landowner. Another pioneer to the area, William Fullagar established the Star Inn on the corner of Ettalong Road and the Western Road (now the Great Western Highway). Fullagar also opened a cattle saleyards which became on of the principal ones for the colony. His family's estate "Essington House" is now the site of a Christian school. Fullagar Road is named after him. Wentworthville has two shopping precincts. The larger, older precinct sits on the Holroyd side of Wenworthville railway station (the other side of the railway is part of Parramatta City Council's local government area and is mainly zoned residential). A Franklins dominates Wentworthville Mall Shopping Centre. Wentworthville railway station is on the Western railway line of the CityRail network that connects west to Penrith, to the Blue Mountains beyond and, to Richmond, via the Richmond branch line. It is also serviced by the Cumberland Line linking Blacktown to Campbelltown. Most trains from the Western line continue onto the North Shore line to North Sydney, Chatswood, Hornsby and terminating at Berowra. The trip to Sydney CBD typically takes 35 minutes. The Wentworthville station was the site of Cityrail's first major Tangara accident, a derailment, which occurred on December 27, 1989. The Liverpool-Parramatta T-way passes right by the south eastern corner. The North-West T-way will go just along the northern tip (Mons Road).